The whole circus of LeBron James, an NBA basketball player, and his impending free agency team decision had been a bit much to say the least. 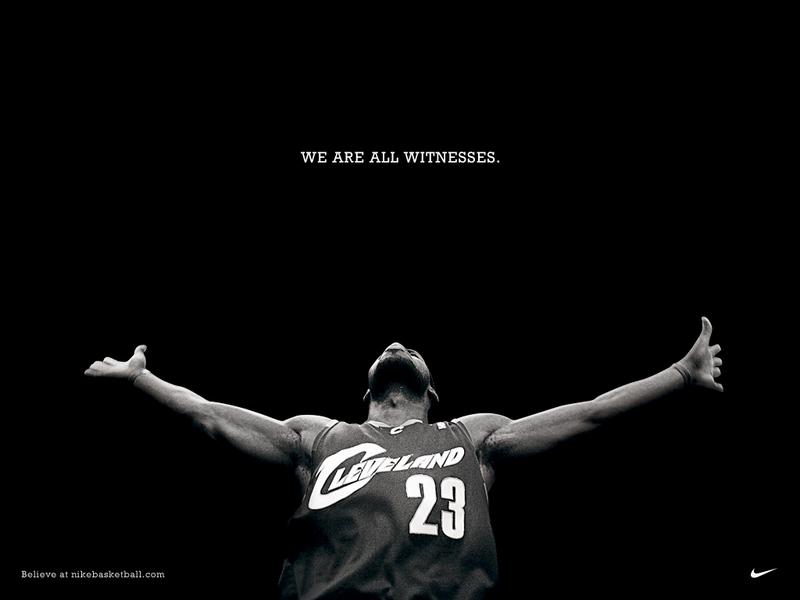 As a born and raised NBA fan, I followed it hoping that LeBron would stay in Cleveland and show some loyalty. When he chose Miami, to play with Wade and Bosh, I was disappointed. His decision coupled with the narcissistic display of the decision show on ESPN, as well as his entrance to Twitter and calling himself @kingjames, soiled my opinion of him a bit. Glory hound. Narcissist. Prima donna. Selfish. Another millionaire self-focused American athlete. What a Pharisee I am. Yet another way you can tell if you’re being self-righteous: making a person into a personality. That’s exactly what my first response was. At worst, my judgments are correct and LeBron is no worse than I would be in his shoes. At 25, with a tens of millions, in the spotlight, deified by millions of fans, what would I do? I can have my own tv show where I announce what team I’m joining? Sign me up! Shoot, I get puffed up looking at my blog stats when I see all of 10 hits! Could I even handle what LeBron deals with and not yield to the praise of men? But think about his decision. What would have been the typical NBA free agent decision for LeBron, Wade, and Bosh? Money! Every year plays out that way unless you’re an older player at the tail end of your career, like what Pierce, Allen, and Garnett did in 2007. NBA teams overpay, players gladly take their money and go to the highest bidder for the most part. Never has anyone made a decision like that these 3 did. They chose friendship and titles over money! LeBron chose friendship over fans! Think about that for a minute. LeBron made a decision that would leave him vilified by fans and tarnish his public image. He chose friendship and the chance to win over reputation and fickle fans and a company whose love for him was conditional anyway (as evidenced by this)! Isn’t that wisdom? Isn’t that what we might do? We might have crushed him even if he stayed with Cleveland and made an extra $100 million. One more thing: he chose less glory. He chose to join Wade in Miami instead of being #1 banana in Cleveland, Chicago, or even New York! Isn’t that something to be praise? I think when I first pushed out those tweets, I was just thinking like the world and poking at someone who chose less glory, less money, and less respect. I don’t know where LeBron stands with Jesus. I pray that he treasures Jesus above all fame, winning, friendships, money, and worldly pleasures. But I have no place to just hammer this 25yr old millionaire kid. All of us have fallen short and all of us have need of a Savior, most of all me. Is your beef with LeBron James, or free agency?